Motorvate Therapies offer the following group sessions at their Perth premises. Young people will take part in a range of fun games and activities specifically designed to help build their self-confidence and skill base. The activities are designed to provide challenge and most importantly the opportunity to succeed, co-operate and where appropriate, compete with the other children in the group. This Group is for young people with a diagnosed difficulty who will benefit from structured confidence-building activities. For young people who may or may not have a diagnosed difficulty but who are more confident and are able to enjoy more challenging physical movement activities. For young people who have difficulty with literacy skills which result in reading, spelling and/or dyslexic-type difficulties. A focus is placed on developing an understanding of personal learning and the skills needed to become successful learners. This group offers young people the chance to drum to music on therapy balls. This enhances their co-ordination across the midline of their body, an essential skill for reading and writing. It is also great fun! Age 7+ years: Wednesdays 6.00 - 6.45pm. This group is for young people between the ages of 8 -11 years who have difficulties with social skills and making and keeping friendships. Age 8-11 years: Tuesdays 4.45 - 5.30pm. When Groups are running, Parents are invited to stay and chat in the comfortable waiting room where they have the opportunity to share ideas and experiences with other parents of children with needs similar to their own. This provides a forum for mutual support. Up to 6-8 children in the Handwriting groups. Up to 6 children in the Social Skills Group. 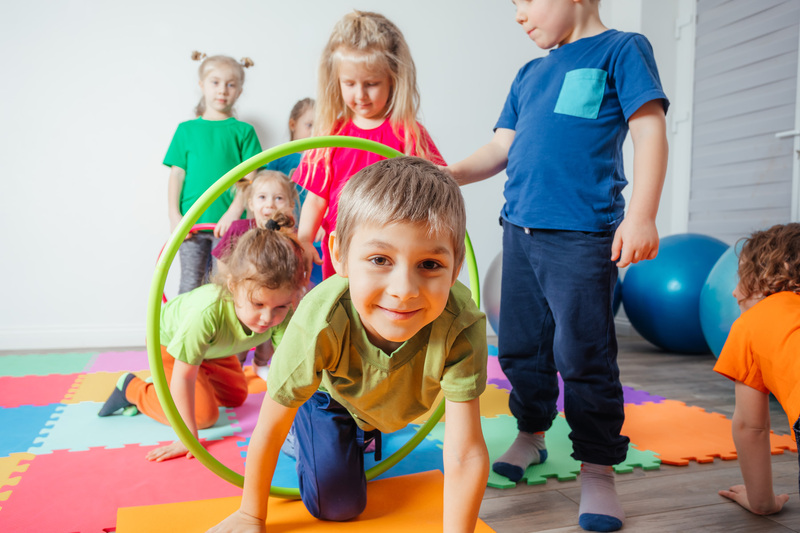 All groups are about having fun and addressing any developmental, motor or social skills based issue through involvement in fun games, motor skills activities and co-operative learning. Young people may be encouraged to join one of the groups following a block of individual therapy to allow them to consolidate their skills in a supported setting. Some children come in to a group for only a short time but we have a number who have been attending for several years and continue to make measurable progress. The groups cost £8 per session payable by block in advance. Discounts are available for two or more siblings.